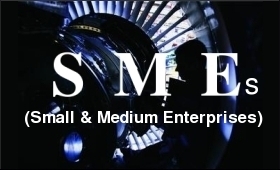 The government will create a dedicated defence & aerospace SME fund, registered with SEBI where minority stake could be taken by investors, said Secretary, Department of Defence Production, MoD, Ajay Kumar recently. This fund would help channelize investments into the two defence corridors announced by the Government in Tamil Nadu & Uttar Pradesh. During the FICCI Session on 'Offsets: Way forward towards a win-win framework', held at the Defexpo 2018, Ajay Kumar shared the Government's thought process on major reforms in the offset policy. He said that the OEMs and the Government were both dissatisfied with the earlier policy and the MoD wishes to indulge in a larger dialogue with all stakeholders. Kumar highlighted that the new paradigm would focus on three principles - investment in defence infrastructure like Government identified PSU/ quasi-PSU projects, providing higher incentives for transfer of 'Know Why' and targeted offset discharge. He added "Investments into testing infrastructure, training facilities and test beds would attract higher value of multiplier". The government has addressed the current concerns of OEMs of delays in offset discharge by putting in place a framework for ensuring ease in doing business. In addition, measures such as facilitating third party certification based on data provided by the Registrar of Companies (ROC) subject to physical verification and statutory audits have also been taken.